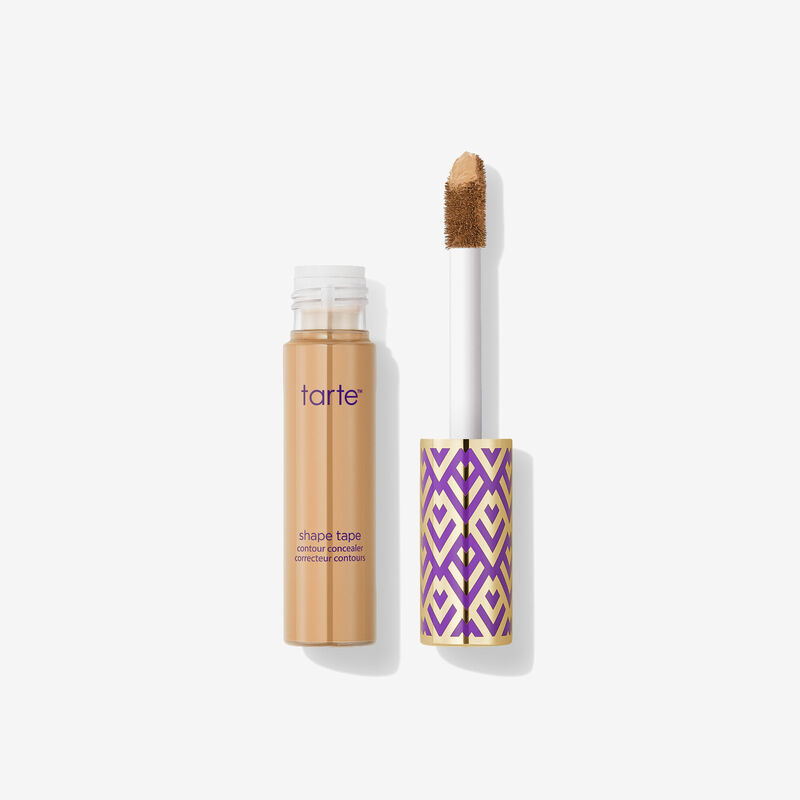 Tarte Shape Tape reached our tropical shores recently, and I tried it in stores at Sephora. When I was testing the Fenty concealer in stores, the consultant had advised me to stay away from Shape Tape as it was matte, as I had been considering asking for it as a birthday present. So instead, I asked for the Too Faced Born This Way Sculpting Concealer in Light Beige. I also applied it under my eyes to test it in stores. Much later I went back to Sephora, I saw the Shape Tape display in store. I didn’t so much as think as I swiped it off the display to dot it under my eyes and along my nostrils over the Too Faced BTW concealer. I had picked the shade 34S Medium Sand, described as ‘medium skin with yellow undertones’, and the coverage was just as the consultant promised. Matte. I had been looking at Shape Tape earlier. I was trying to pinpoint my ideal colour and bouncing between 35N Medium (‘medium skin with neutral undertones’) and 29N Light Medium. 35N was matched from Too Faced BTW foundation in Natural Beige while 29N was matched with Too Faced BTW foundation in Light Beige and Fenty concealer in 240. Both matches were done using the Sephora foundation shade matcher. In hindsight, I think I swiped 34S because I felt that it was a good in-between shade from 29N to 35N. Also, the shade range jumps from 29N to 34S. Weird. Here are some pictures of how 34S sat on my skin. As a side note, I have normal to dry under-eyes with combination skin (normal to oily). Especially after and in part due to Shape Tape, the obsession in the makeup industry has been for fuller coverage, more flawless skin and for makeup to work like a photo-editing map. I’m not the first to say it – James Charles and Jaclyn Hill have mentioned this – and I agree with the sentiment. Even though we may be able to forget about that pimple or the acne scars, it does not mean that the sources of those problems have been solved. And this applies to our lives and the current global climate. Shape Tape was a 2016 phenomenon that ushered an age of plastic skin, coverage and pigmentation. But was it a good age? In hindsight, no. In that same year, we had corruption scandals. PussyGate. In the years after, we lost many stars like David Bowie, Alan Rickman, Carrie Fisher. I’m not saying full coverage concealer is to blame for all our troubles, but I do think it’s time to stop hiding and start finding the source of it. It’s great to have high coverage concealer, but it shouldn’t be the be-all-end-all of blemishes and problems. And for one, I’m glad that the trends are moving towards lived-in, natural skin that is customised to each individual. Author’s Note: I hope you can hear what I’m trying to say.